KidSight is part of a nationwide initiative of the Lions Clubs to help parents, childcare providers and educators find and correct children's vision problems. Lions offer this valuable community service absolutely FREE! Our first and primary priority is to increase the number of children screened in the 6 month to 5 year old age group, and then expand our services through high school as requested by private and public school districts. 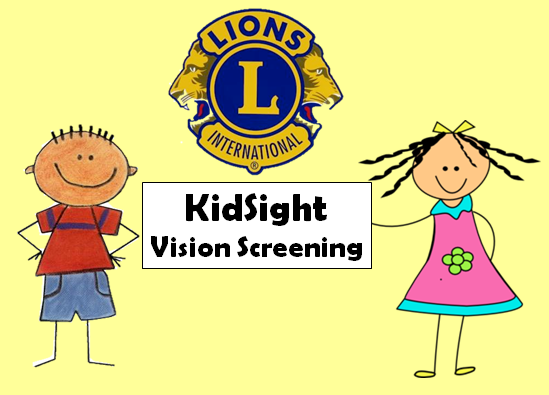 The Central Texas Lions KidSight Program consists of: Lions, many whom are certified vision screeners, eye care and medical professionals such as school nurses, as well as volunteers dedicated to solving the critical issue of vision problems in children. children's vision health by offering vision screenings with the PediaVision Spot. Check out this inspiring video to learn how the eyesight, of a little boy named "Cross", was saved when Lions conducted a free Vision Screening at his preschool. Even these terrific parents could not tell that Cross could not see well.